Do you need a caretaker or building manager to help manage or maintain a strata property for you? Clean Green Strata recognises that high density living is the way of the future in our modern cities. We are committed to creating an environment that residents can be proud of through dedicated strata caretaking services for Central Coast and Sydney buildings. As a result, we provide a service that adds value to your living space and harmony amongst owners, tenants and stakeholders alike. Call us to organise a FREE QUOTE today! 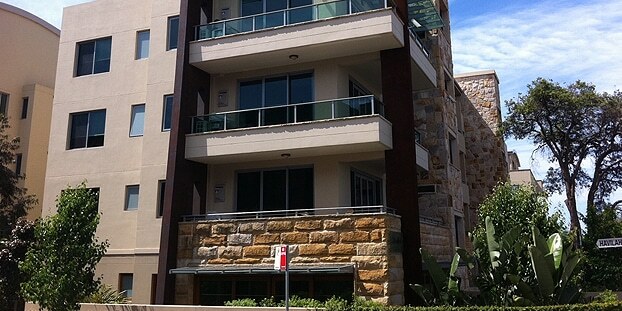 Looking after a strata property can almost be a full-time job. Our strata caretakers and building managers in Sydney will make themselves available 24 hours a day. Do you have people calling to complain about leaky gas pipes, dripping taps in the communal laundry room, graffiti on the walls, cars parked illegally on site – and any number of things? As one of the leading strata management companies in Sydney, you’ll be able to rely on our strata caretakers and building managers to address issues quickly and efficiently. 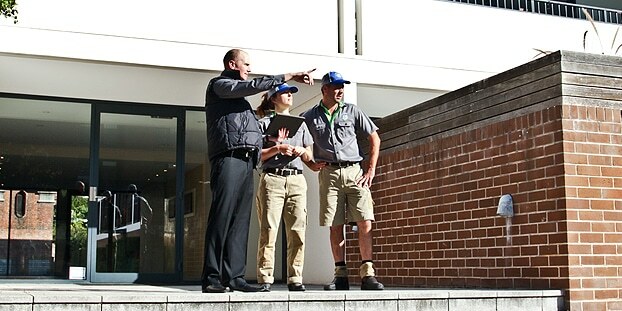 Clean Green Strata has specialised in strata building management services in Sydney, Central Coast, Wollongong and Newcastle areas since 1992 and we understand how to properly care for, and manage the maintenance of a strata property. That’s why we’re pleased to offer the following strata caretaking services to you. 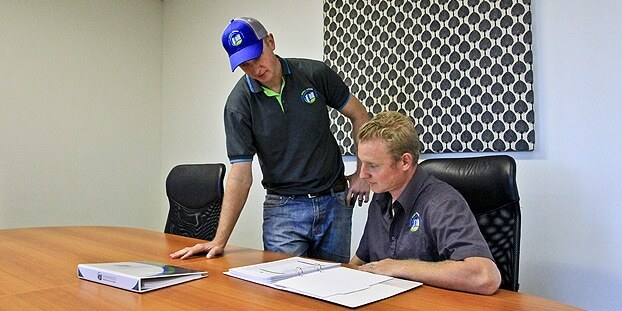 We can come to you and inspect your property to provide a competitive quote. Mention our website to save an additional 15% off the price. Why would you need a strata caretaker? Strata caretakers or building managers can help you manage the common property covered by your strata title. Caretakers manage common property areas, handle tradespeople and other non-residents that use common property and for the general maintenance, repair and upkeep of common property areas. 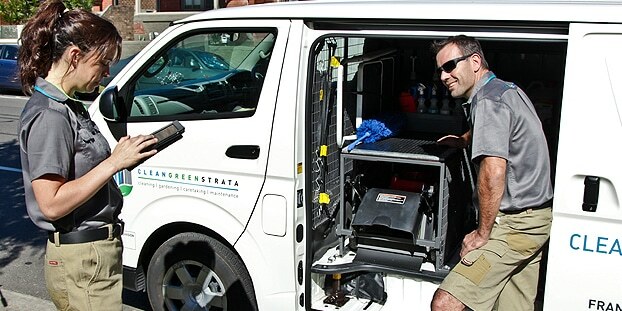 After more than 25 years specialising in strata management services, the professional caretakers at Clean Green Strata can help make managing and maintaining the common property of the strata scheme on your property a breeze. As part of our innovative service we offer a FREE service portal for any properties over 50+ lots. The service portal is online and each member of the owners’ corporation has a unique login. Our caretakers upload monthly maintenance matrix reports for your perusal. This affords the board an opportunity to address any issues they have directly with their caretaker. 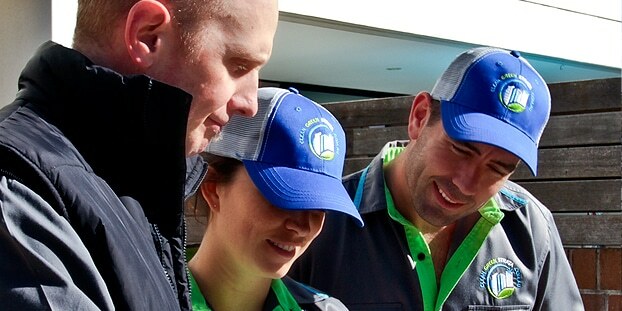 This takes a level of follow-up off the shoulders of the strata manager and allows us to get direct feedback and instructions, which will help us do our job more efficiently – and make life easier for the residents and strata manager.